Dante King is a young twenty something who discovers he’s dying. He won’t live to see his next birthday and time is ticking away to live life before it’s taken from him. With the help of his eccentric and wild-free friend, Wilbur Day, and stubbornly rational cousin, Ethan Knight, the three friends embark on a trip that takes them across Europe, Asia, Australia and beyond. Dante clings to his past though and the many regrets he has, yearning for acceptance and finally understanding faith. He’s only loved once, and when Daniella Adams comes back in to his life, the pair realise how in love they are – but must battle what they previously did to one another. This is a heart pulling journey of amazing scenery and adventurous ways, but built on a life that is soon to end. It follows the love of Danii and Dante, finally realising how much they mean to each other but having it ripped away before their eyes. It’s about love and hardship between friends, family, and a dying son’s regret of not being better. It’s a roller coaster ride of laughs and tears and making the most of life before it’s too late. Since the New Year, my headaches have reached new levels of pain. They were far from lovely before, but if given a choice, I would return in an instant. My forgetful ways have increased, too, each day bringing blank patches scattered throughout. Yesterday afternoon, I bought a new stick of deodorant, having forgotten I already did so earlier that morning. Two days ago, I emailed my mother twice, both messages practically the same. And on New Year's Eve, I bought Danii a single flower on three separate occasions: her smiling nicely—somewhat pitifully—each time. Small, silly little moments, but I miss them... mourn them. I keep trailing off, too, and repeating sentences. Ethan pretends not to notice, his replies instant and smooth, although I've caught myself a few times with him; Danii smiles and nibbles her lip, her twitching nose a sign she's worried... petrified, even; whereas Wil has to hold back his excitement, catching my faux pas and hesitating empty words. I don't know, but I assume Ethan's spoken to him. Wil's like a curious young child seeing a black person for the first time and wondering why their skin is different to their own. 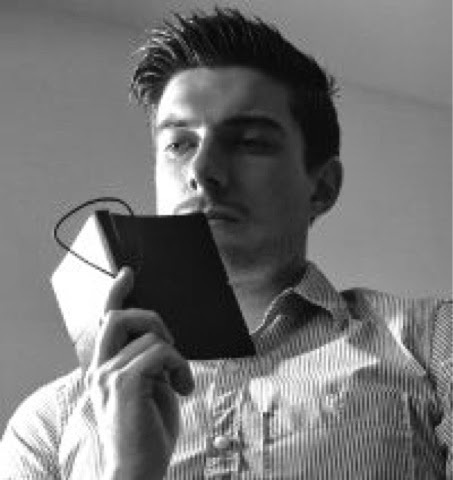 He isn't nasty with it, merely at the mercy to his intrigue and unfiltered list of questions. I'm glad he holds back though. I catch some, but who knows how many forgotten seconds creep past my defences. I don't want them pointing out. Some things are better lived in blind bliss. Still, as of yet there have been no more seizures, which, together with our recent nocturnal lifestyle, has kept the mood light. Arriving in Sydney two days before the New Year was wise, because arriving on the day itself would be a nightmare far greater than any one headache could conjure. We embraced Australia's multicultural capital like almost any other tourist would: walking the Harbour, boating across the perfect sea, and gazing at the Opera House, although I couldn't say how it looks on the inside. In many ways, it's the same as any other city: expensive. But at this time of year, with the sun so bright and the mood so high, it's easy to look past the unfortunate cliches and focus instead on the complexities of this cultural haven. That is, until mid-afternoon on New Year's Eve. From the moment I first saw the famous Harbour blossom with every colour imaginable, as a thirteen-year-old boy bringing in the New Year with my parents in front of the TV, it's been a dream to spend the final seconds of one year, and the first few of the next, in the shadows of the bridge and Opera House. Bouncing and eager, I insisted we arrive early and scout an ideal location for our blanket. At ten in the morning, it was quiet, just a few other groups mulling. Sharing sandwiches and boxed wine, we mingled with these fellow early morning soldiers, each can of lager growing warmer and more disgusting by the hour. By midday it was busier, but still our blanket held strong. At three, the grassy area was awash with sunlight, the spirit growing louder, more energetic, and we lost our early morning soldiers, but this was fine because others took their place. By six, we stood, our blanket scrunched in the middle, as rowdy strangers bumbled over it. At eight, the blanket was gone, and so was Wil. Danii clung to my hand, as Ethan stood on the other side of her. By ten, a sea of strangers surrounded us, shoulder-to-shoulder. "I didn't think it would get this busy," Danii said, her nails digging into my fingers. I nodded, and turned to Ethan, but he, too, was now gone. As midnight approached, excitement and anticipation were replaced with dread and a claustrophobic worry. "Sorry, mate," said a drunk Australian, stamping on my foot. "You got any beer?" asked an even drunker cockney, leaning in and filling my nostrils with an unbearable stench. "Happy New Year," blurted a short brunette, the drunkest of them all, grabbing Danii and I simultaneously, and kissing us both. Laughing and doing our best to shrug off our surroundings, we remained clamped together, and with twenty minutes to spare, Ethan found his way back after a rather a long wait in the bathroom line. Tick, tock, tick, tock went the minutes, bringing the year's end closer. "I don't understand how everyone is so drunk," said Danii, a minute before midnight. "We haven't had a drink in hours. Where the hell are they finding it all?" And then, in perfect Wilbur Day fashion, he stumbled into us, hugging us all—Danii included. "This. Is. Marvellous!" he spat. "Where have you been?" I asked, but he shrugged it off and began counting down, as did everyone around us, and soon the sky was alight with every colour on the spectrum, and the sea of people, and tight conditions, and the headache that ate away at my temples... none of it mattered because I remembered watching it on TV nearly a decade earlier, and how I'd done so every year since; dreaming... wishing to be below the lit sky. An engine roar of hope erupted from all directions as Auld Lang Syne was sung by the sea of multicultural synergy. Everyone seemed to sing but me. Instead, I stood still, mouth agape and in complete and utter awe. "This is amazing," I said to nobody but myself. But Danii heard. She squeezed my fingers and rested her head on my shoulder, and we both stood still, swarmed from all directions, but it didn't matter. It was a perfect moment that ticked and tocked, closing one year and opening another, and soon the fireworks stopped, and the singing ceased, and the crowd took us with them, and we were walking along the Sydney streets, and I was talking and laughing and celebrating with my friends and with people I didn't know, but it's all a haze, only, not because of a stolen memory on this occasion; rather, I was still standing at the Harbour, looking up towards the fiery sky at the second midnight landed, agape and in awe and at the mercy of its beauty. What would you do if you had three months to live? That’s what Dante King faces, the indecisive twenty-two-year-old who must finally learn to embrace life and love. 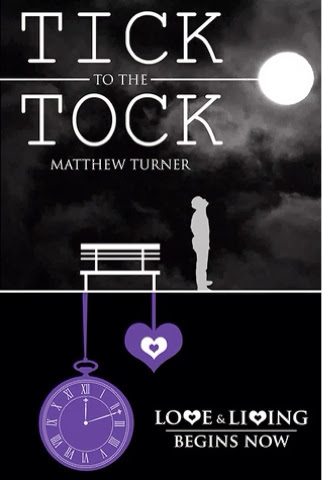 Tick to the Tock is a Contemporary New Adult Novel about Dante coming-of-age during turbulent times. A story inspired by love, but with the gritty realities of regret, missed opportunity, and understanding life’s meaning under dire circumstance. But a single mind isn’t affected on this journey, as an eclectic group comes to terms with the past, present, and what lies ahead. Dante must confront and accept his fate, but can he let go of Danni: his lost love and kindred dreamer? With his rationally stubborn cousin, and eccentric best friend, Dante witnesses a life of dream and wonder: embarking across Europe, tackling Tibet, travelling Australia, and defeating each lifelong wish one-by-one. Follow this coming-of-age roller coaster as four lives change forever. We’re only given one, but it’s never too late to understand faith, discover acceptance, and uncover the true meaning of love and happiness. Dante will die, but not before Danii, Ethan, Wilbur and he undertake an intense and heartfelt journey. Smile… Cry… Ask yourself what you would do with three months left… Because Love & Living Begins Now.